Turkey ranked seventh among cement-producing countries in the world, and the country is also one of the extensive producers in the world cement market with cement production nearly 77 million tons. There are more than 50 functional cement plants over 90 Mt/year production capacity in Turkey. 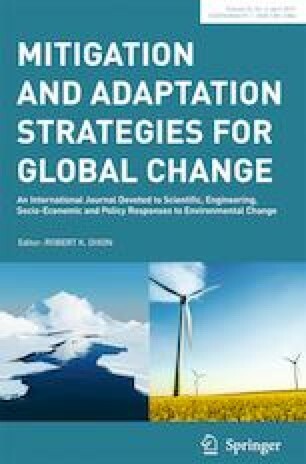 In this study, we present the ways of Turkish cement sector emissions fit into the global context, and simulate the impacts of energy efficiency scenarios on Greenhouse Gas (GHG) emitted from energy consumption of Turkish cement production and on total energy demands relevant with the cement production/tons from 2015 to 2030. We employ Long-range Energy Alternatives Planning System (LEAP) software for the simulation of the GHGs emitted from the Turkish cement industry in a global context, and we establish business as usual (BAU) and five alternative energy efficiency scenarios for this study. We suggest six possible mitigation strategy recommendations to reduce CO2 emissions in cement production. Among them, three of them are related to policy and strategy applying, such as increasing awareness, applying different strategies, and improving the governmental policies; and another three of them are directly linked to technological mitigation applications as improving the technology and materials, fuel and energy saving, and CO2 capture and disposal. For 2030; we simulate that more than 15 Mtoe energy consumption will be the main reason for more than 53 million tons of CO2-e emissions per year. The low GHG emissions value is found by applying the energy efficiency 3% (ENE3) scenario where the emission trend starts at 21.12 million tons of CO2-e per year in 2014 and ends up 33.2 million tons of CO2-e per year in 2030. We, the authors gratefully thank Mr. Ali Osman Kılıncaslan of Turkish Republic Ministry of Energy and Natural Resources, General Directorate of Energy Affairs for his contribution to construct the LEAP model.